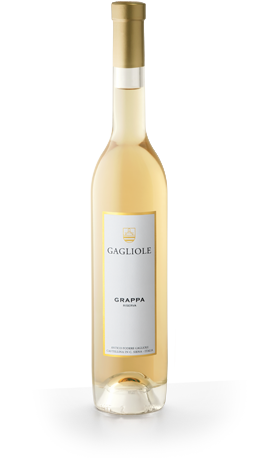 Our Grappa is produced in small quantity from the draff of specially selected grapes. Its long and mild ripening takes place in barriques of french oak. The result is a gold coloured, smooth Grappa with a tasty aroma; best consumed at room temperature.